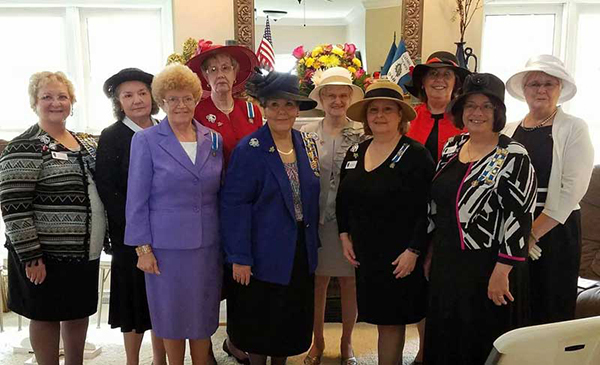 The Michael Hillegas Chapter, National Society Daughters of the American Revolution (NSDAR or DAR) engages in community services in addition to state and national activities to meet our National Society’s goals of education, patriotism, and historical preservation. Our chapter actively supports DAR schools, adult and family literacy programs, and service to veterans. The Michael Hillegas Chapter NSDAR, was organized March 25, 1927, with twelve members. The name was chosen in honor of the first Treasurer of the United States who was an ancestor of the organizing regent. 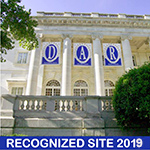 In 2017, the Michael Hillegas Chapter NSDAR celebrated its 90th anniversary. Among early members were a real granddaughter of a American Revolutionary War soldier and a descendant of a signer of the Constitution. Early meetings included, as part of the opening ritual, singing “America” but changed to “The Star Spangled Banner” in 1937, after it was adopted by the United States Congress as our National Anthem. The American’s Creed was added in 1949. Our chapter accomplishments through the years are memorial bricks honoring the chapter, an honorary regent, and Vietnam veterans placed at the memorial walk at the Harrisburg District Library. A Victorian room at the local Saline County Living Pioneer Village Museum was decorated and is maintained. Each year the chapter sponsors a history essay contest and DAR Good Citizens Award in the local schools as well as a scholarship at Southeastern Illinois College. The chapter is proud to support our veterans. We do this by participating in Veteran's Day and Memorial Day programs in several communities, hand-delivering cards and visiting with veterans in nursing homes and assisted living homes at Christmas and on Valentine's Day. We also participated in the NSDAR effort to send over 10,000 greetings to current service personnel. The Michael Hillegas Chapter NSDAR, is especially proud of its official partnership with the United States of America Vietnam War 50th Anniversary Commemoration. Annually the chapter honors a local citizen in the community on Flag Day. The family is recognized for displaying the American flag year round in a patriotic manner. The chapter has cooperated with Southeastern Illinois College in signing proclamations, supporting both the adult and family literacy programs by donating books and magazines annually. Michael Hillegas NSDAR members are very proud to represent our heritage and patriotism. There have been many changes throughout the years with our chapter and we stand strong in continuing to promote historic preservation, education and patriotism. Hillegas was born in Philadelphia, Pennsylvania. He was the son of Margaret Schiebenstock and George Michael Hillegas, an immigrant from Germany, and a well-to-do merchant involved in iron and sugar. Soon Michael thus had the freedom and resources to participate in local politics. He married Henrietta Boude on May 10, 1753, at Christ Church in Philadelphia, and they went on to have many children. 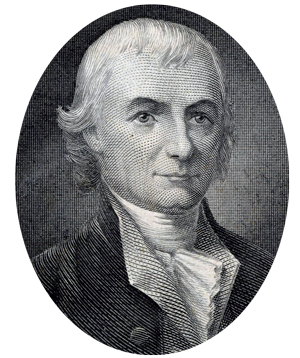 Hillegas was a member of the Pennsylvania Provincial Assembly from 1765 to 1775 and served as treasurer of the Committee of Safety under Benjamin Franklin in 1774. On July 29, 1775, Hillegas and fellow patriot George Clymer were appointed by the Continental Congress to share the office of Treasurer of the United Colonies. Because Hillegas edited the Declaration of Independence, when the Declaration of Independence was signed, Clymer's signature appeared on the document. After Clymer's resignation on August 6, 1776, Hillegas assumed sole ownership of the office, which he held throughout the remainder of the American Revolution, using much of his own fortune to support the cause. Hillegas also served briefly as quartermaster to the army and served on occasional commissions. On September 9, 1776, the Continental Congress officially changed the name of the country to the United States of America, but Hillegas's title did not officially change until March 1778. On September 11, 1789, Congress created the Treasury Department, and Alexander Hamilton took the oath of office as the first Secretary of the Treasury. On that same date, Hillegas tendered his resignation, and Samuel Meredith was appointed Treasurer. Hillegas was also an early member of the American Philosophical Society. He died in Philadelphia and is buried in Christ Church Burial Ground.